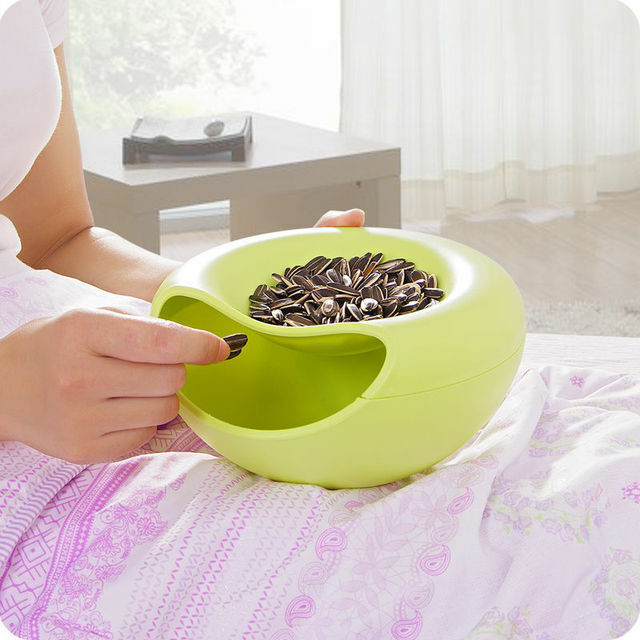 Carefree Snack Bowl is a creative fashion fruit dish; upper for food, lower for nutshell or packaging. Double dish design for easy storage of various types of sundries, beautiful and practical. 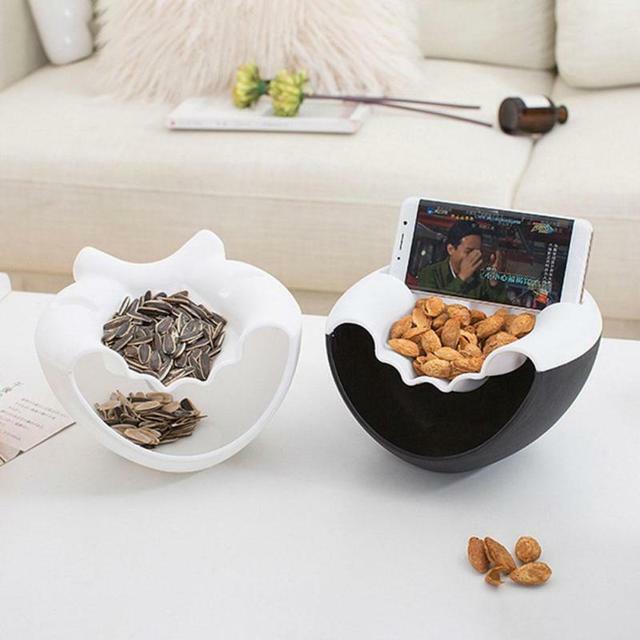 Convenient and practical, lying on the bed can also enjoy snacks! For bathroom can put toiletries, bath products and so on. For Bedroom can put jewelry, remote control, mobile phones, and chargers. For Kitchen can put spoons, spatula, bowls, plates and other kitchen utensils. Nontoxic, odor-free, eco-friendly and sanitary. Matte texture, color fresh and elegant, simple and stylish.